According to the IDC, workers spend 23 hours a week dealing with challenges related to managing content. 7 of those hours are wasted due to productivity gaps in the review and approval process. How much money are these 7 hours per week costing your team? 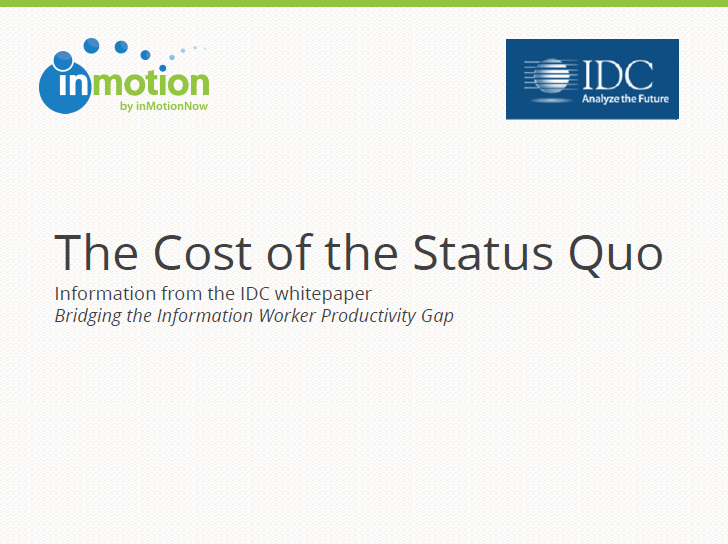 Download our guide, The Cost of the Status Quo, to learn about your productivity gaps and how much you could save by adopting a review and approval solution.